Just a few weeks ago, we reported that some motherboard manufacturers had found a BIOS tweak to allow overclocking on “non-Z” motherboards. ASRock first released a BIOS update to let users overclock K-Series Haswell CPUs on its B85 and H87 products, shortly followed by ASUS and ECS. 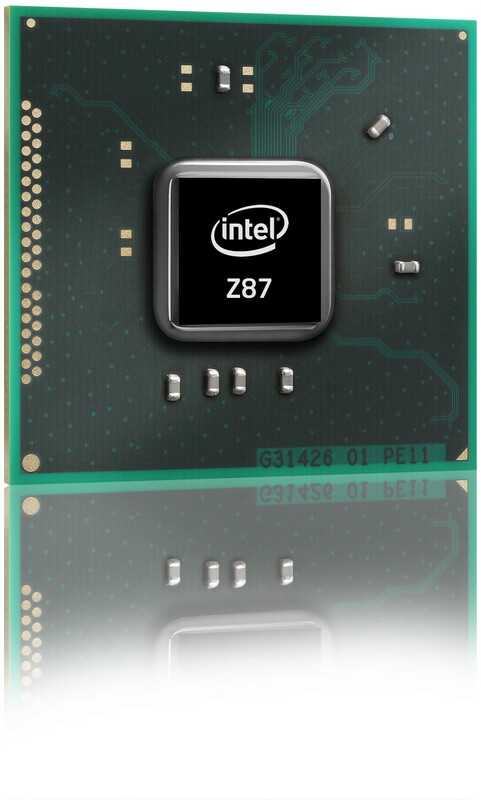 The exploit had to anger Intel, which meant for those chipsets to support almost no overclocking at all. H and B-series chipsets are obviously lesser featured products aimed at less expensive motherboards. This week, it has been made public that Intel is working on a CPU microcode update aimed at restricting overclocking of K-series CPUs to Z87 motherboards for good. Intel probably plans to deploy the update by means of BIOS updates which would have to be pushed through motherboard vendors. The irony of the situation is not to be understated. If motherboard manufacturers still refuse to play by the rules, Intel could also ring old friends at Microsoft and call in the favor of having the microcode embedded in a Windows update. The combination of those two approaches ensures almost all users will see the overclocking features removed soon, unless you’re living under a rock with your latest Intel system. The days of overclocking Core i7-4770K and i5-4670K processors on cheap motherboards will have been quite few and are already dawning. What kind of "tweaks" is Intel so worried about? Are they worried that hundreds of thousands of people are now going to overclock? Maybe they should be more concerned that their next cpu doesn't need a refrigerator to keep it cool when being used. on this aspect, Intel over-reacts as much as nvidia does. This doesnt come as a suprise to me, i saw this coming back when i heard about the AsRock boards being able to OC. But the way Intel are tackling this, all wrong. We have a huge thread on this topic that came out before the news... I will say here what I said there. The mobo makes knew about that this loophole was being closed BEFORE Z87 was released. The mobo makers, sans MSI, CHOSE to advertise a feature with a short, terminal lifespan. I wouldn't put all the blame on Intel for closing a loop hole that hurts their bottom line. They are, in fact, a for profit business and all. This was to be expected. 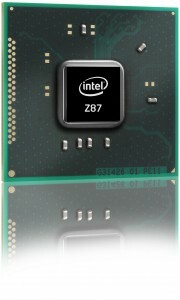 Motherboard makers chose to do it to possibly increase their sales of non-Z mobos. Intel is doing it to protect its sales of K-series processors. Do people still have Windows Update on automatic? Enthusiasts? I disabled Windows Update and do it manually every so often, after that Windows Genuine Advantage spying scandal. Additionally, who actually updates their BIOS when nothing is wrong with their system? I do. All the time, actually. BIOS evolution on a new platform can be exponential, especially with detailed overclocking boards like the MVIE (look through this thread to see the constant functionality additions, many having to do with memory overclocking). Obviously that's a different situation, but the point still stands - this is a fresh platform and many BIOS releases for the first few months of its life cycle can contain important updates. I actually didn't update the BIOS straight away when I got this new mobo/cpu, even though I normally do. Ended up not being able to load an online game in Dirt 3, but I could play single player just fine. Updated the BIOS, fixed. Last thing I checked. I had already emailed Codemasters about it at that point. Point is, it may seem fine, but have one little random glitch. And the people who are overclocking with these boards will have to decide between random glitch and overclocking. I can guess which one they will choose. This will change nothing, lol. Companies are so silly sometimes when they try to protect a tiny segment of their money. So motherboard makers find an exploit, exploit it, and now we're supposed to get angry at Intel for closing said exploit? It's a blood exploit, it's not an intentional feature, it's a bug/hack. Not sure I get the rage.